The sport of skydiving is a vast new world to explore and explore you have! Perhaps perusing through the world wide web or reading through our website, you’ve come across the nugget of information that we are a “USPA” drop zone. Naturally, you’re left to wonder what, pray tell, is the USPA, and what does it mean to be a USPA drop zone? Two primary entities oversee skydiving operations in the United States: the United States Parachute Association (USPA) and the Federal Aviation Administration (FAA). Founded in 1946, the USPA is a non-profit organization responsible for taking pertinent information and regulations provided by the Federal Aviation Administration (FAA) and making it known, at large, to the world of recreational civilian skydiving. This information, as well as training and operational requirements, is disseminated, in part, in a publication issued yearly nationwide: the Skydiver’s Information Manual. This manual contains the most up-to-date information about skydiving. It’s a lot like a one-stop-shop. Anything you need to know, from learning to skydive, obtaining licenses and ratings, to information regarding extreme jumps like freeflying and skysurfing, can be found in the SIM. The recommendations and information issued by the USPA are to help keep drop zones, no matter their location, on the “same page.” However, it is up to each individual drop zone to self-regulate and enforce the recommendations and regulations that the SIM offers. As ambassadors for the sport of recreational skydiving, the USPA is also responsible for issuing skydiving licenses and ratings, providing third-party insurance for skydivers, supporting and coordinating competitions for skydiving, and communicating concerns regarding the airspace system with the Federal Aviation Administration. Membership in the United States Parachute Association is voluntary. Skydiving facilities may publicly affiliate themselves with the USPA by becoming a Group Member Dropzone. Facilities that choose to be a USPA Group Member Dropzone make a pledge to follow the guidelines and basic safety recommendations issued by the USPA. As a group member of the USPA, Skydive Monroe has committed to using USPA certified instructors, to utilizing USPA developed instruction and training methods, and to maintaining and providing USPA required equipment. We have composed a team of experienced, passionate instructors, pilots, and office staff. In addition to a first-rate staff, we exclusively use training programs that are designed and conducted in accordance with USPA-established safety standards and use state-of-the-art equipment. 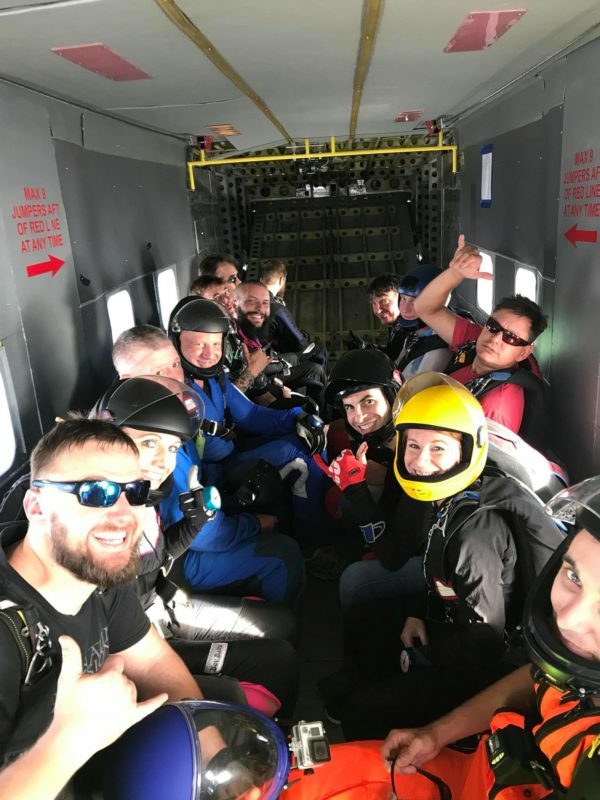 When you make a skydive at Skydive Monroe, you can trust that you are being paired with a highly trained USPA certified instructor, and if you are learning to skydive, you can rest assured that will be taught skydiving skills using the most current training methods offered. Want to check out a USPA drop zone in living color? 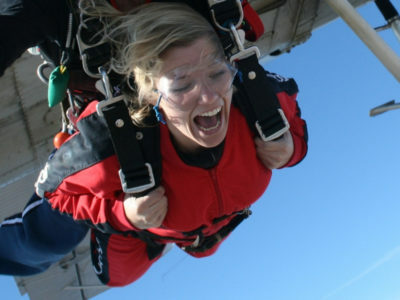 Give Skydive Monroe a visit today!